Before we dive into the top connected speakers for 2017, let's define a smart speaker. As the name suggests, there's a music component. So one element is playing audio such as music and podcasts, usually over Bluetooth. Look for connectivity such as Wi-Fi and Bluetooth, as well as analog ports. However, the “smart” in the title implies smart home integration. Many speakers boast compatibility with the likes of Philips Hue bulbs, Nest devices, and more. Finally, you'll often find artificial intelligence (AI) assistants onboard such as Google Assistant and Amazon's Alexa. 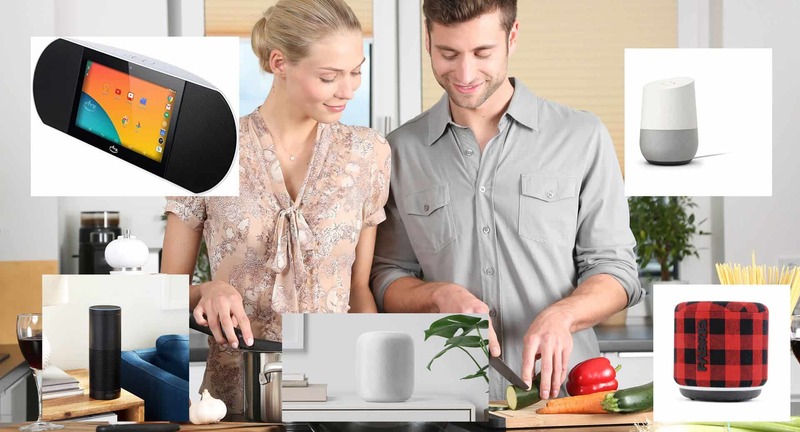 When selecting a smart speaker, think about what makes a connected speaker and your priorities in obtaining one. If your main priority is music, select the speaker with the best audio quality. For portability, you might consider a speaker with a battery. With what makes a smart speaker and what to look for in mind, let's explore the top connected speakers available in 2017. Although Amazon may not have created the first smart speaker, they've pretty well set the standard with the Amazon Echo. It's an excellent sounding speaker with tons of integrated services. You'll find its Alexa smart home repertoire of integrations is unmatched. CNET praises the Echo for balancing practicality and accessibility with forward-thinking features. However, as a speaker, the volume isn't terrific. As such, the Echo leaves something to be desired. Unlike the Google Home, the Echo is unable to differentiate voices. Still, with a ton of options from the Echo to the portable Echo Dot, and the video-capable Echo Show, Amazon's smart speakers rank among the best available. Hailing from tech giant Google, the Google Home is an incredible AI butler and speaker. 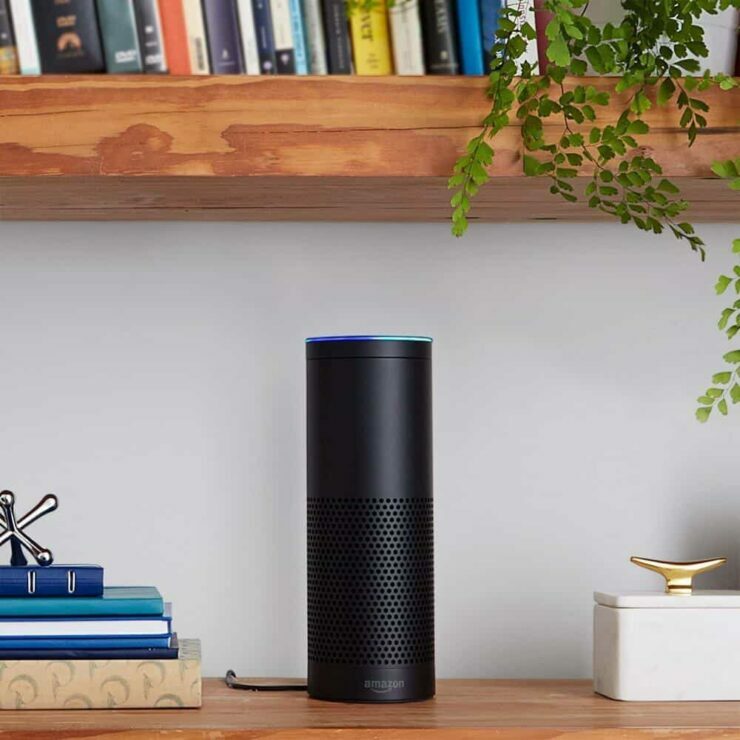 Because of its form factor and uses, it's a solid contender to the Amazon Echo. There's intelligent smart home control with integrations for devices like the Nvidia Shield TV. TechRadar enjoyed its customizability, enormous song library, and growing hardware ecosystem. But, and ironically so, the Home lacks certain Google services. Plus, Google Cast, a major pro of remaining in the Google space, isn't refined with the Home. Additionally, your phrasing must be pretty exact. Still, it's one of the best speakers and smart home hubs you can find. It's no surprise that the Apple HomePod stands as a best pick when considering the best smart speakers for 2017. 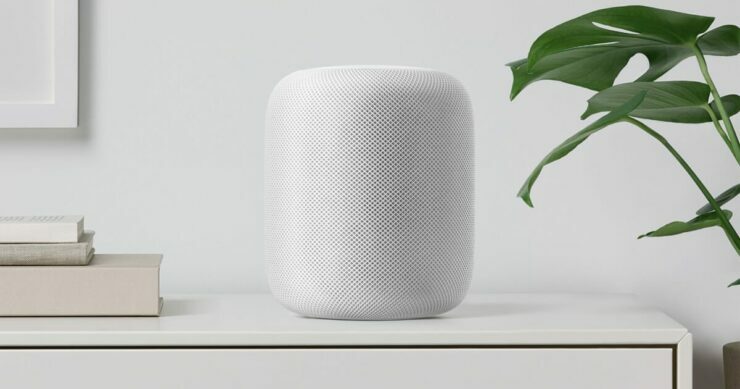 Of all the speakers, the HomePod sports the best sound quality despite its small stature. It's applicable for a variety of uses. But the main drawback is what you get with the Apple Ecosystem. It's really limited. If you're ok paying a premium for the HomePod and staying tied down with Apple hardware and software, it's a great device for sure. Yet it's not nearly as open as opting for another speaker from Google, Amazon, or a third-party. 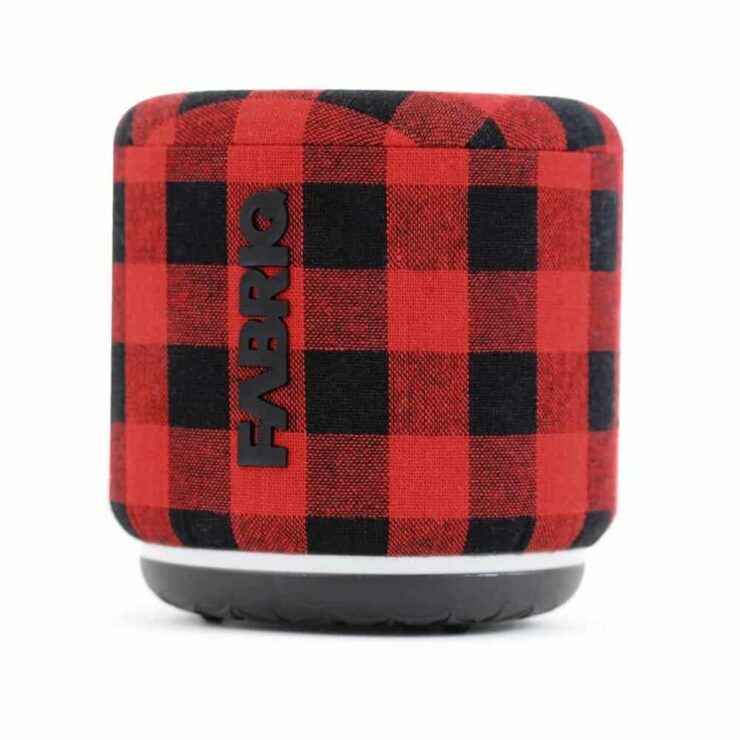 Though many smart speakers come from major players such as Google, Amazon, and Apple, the Fabriq is a sweet little speaker touting Alexa. Tom's Guide liked its long 5-hour battery life and surprisingly competent bass for such a tiny speaker. The addition of Alexa is a nice touch, and with its fabric outter casing, it's an aesthetically-pleasing gadget. Still, the treble is pretty poor. Unlike many portable speakers, there's no waterproofing or rugged qualities, and strangely you won't find hands-free voice control. Nevertheless, the Fabriq is an inexpensive though functional smart speaker for 2017. 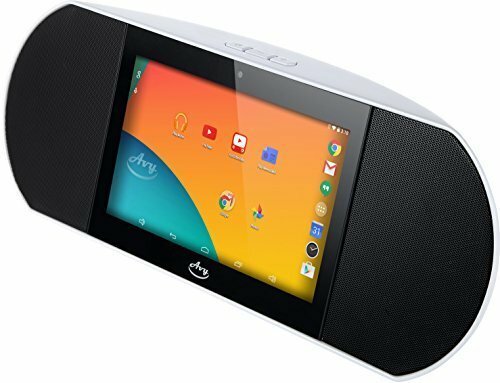 Looking for a portable connected speaker? Check out the Jam Voice. It's a battery-powered speaker with Alexa voice assistant built in. Like the Fabriq, there's no hands-free voice control. Instead, you have to push a button to activate Alexa. It's small and portable, but not rugged or waterproof. 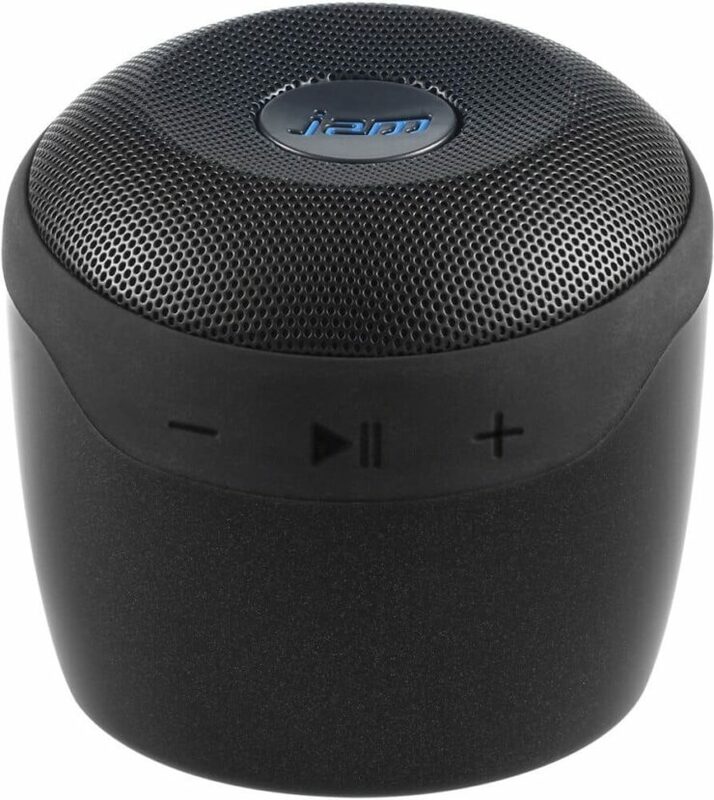 At around $50, the Jam voice is certainly a great deal. Of all the smart speakers on this list, the Zettaly Avy is the one which comes as a speaker first, and smart home device second. Essentially, it's a boombox with a tablet buit in. Android Authority praised the Avy for its bevy of features from the 7-inch tablet screen to HDMI out and microSD card slot. Don't expect a high-end Bose sound quality. For smart home integration, the Avy is a bit sparse. There's some by way of Google, but nothing as comprehensive as what's found in Alexa, Siri, or Cortana. Basically you'll find the same smart home capabilities as you'd get with an Android phone or tablet. This is a best pick for the music junkies who want a jukebox first and connected device second. Overall, there are a ton of options when it comes to connected speakers. Although the Amazon Echo and Google Home are the most popular, Alexa-enabled third-party speakers like the Fabriq and Jam Voice are terrific choices. Ulitmately, it depends on what ecosystem you're using, and what your main prioritories are for getting a smart speaker. Your turn: what do you feel are the best smart speakers for 2017?